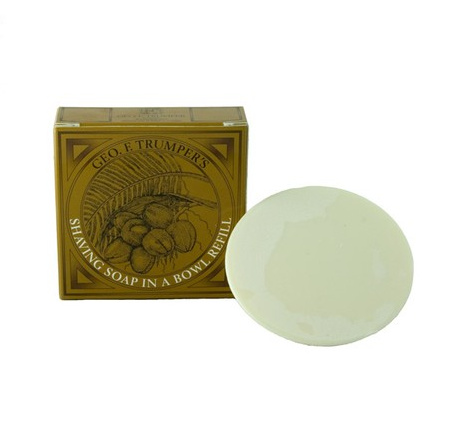 Designed as a refill, and man can pick up a bar of Geo T. Trumper ‘Cocunut Hard Shaving Soap’ and put it in a mug to use daily. Designed to provide a mild fragrance, the addition of coconut oil also ensures that your skin is nourished during the shaving process. This entry was posted in Facial Hair, Shaving. Bookmark the permalink.